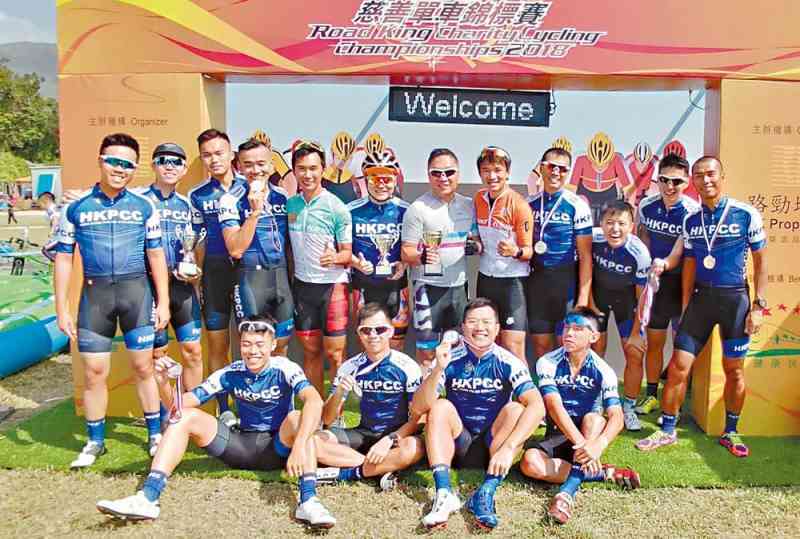 The Police Cycling Club took part in the Group Challenge (Corporate Team) Category of Road King Charity Cycling Championships 2018 at Kam Tin Bypass in Yuen Long on November 11. The event was organised to raise fund for the Lifeline Express, which provides free cataract operations for poor patients in Mainland China. Senior cyclists of the club partnered with new Force players and they entered the race in four teams. After intense competition with strong rivals such as cyclists from the Correctional Services Department, the Force cyclists took all the gold, silver and bronze medals. Chairman of Police Cycling Club Mr Chan Chun-fai was thrilled with the results. He encouraged the team members to continue to promote the sport and take part in charity activities.